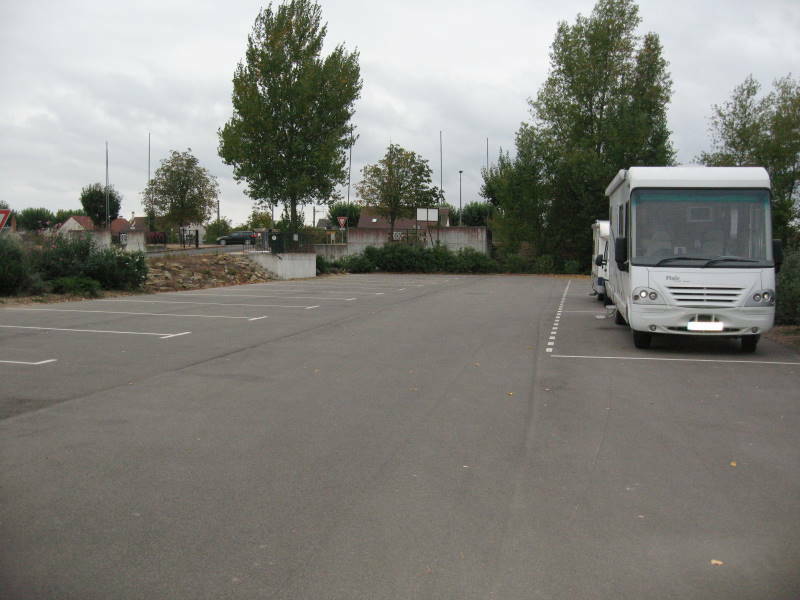 Quiet free dedicated aire at the entrance to a communal campsite on the banks for the river Cher. The campsite is only open during the months of July and August and appears to only cater for tents, including some hire tents. The aire is open all year. It is south of the river on the D 956 (unless the French decide to renumber the road again) and can be seen from the road. The service point needs Jetons that can be bought from a list of places taped on the side of the service tower. Waste and WC free but didn’t need water or electric so don’t know the price per Jeton. Selles has the usual shops/restaurants etc. Handy for a night stop if you are en-route anywhere.